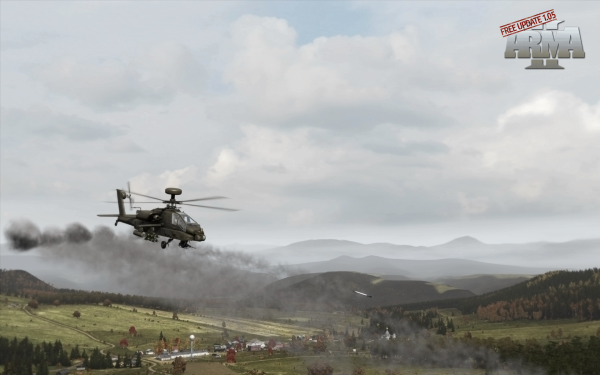 The folks at Bohemia Interactive aren't resting on their laurels when it comes to ArmA 2. In what seems like a response to yesterday's DLC release for Operation Flashpoint 2 comes the release of the 1.05 patch for ArmA 2. Along with many...many...bug fixes comes a free campaign called Eagle Wing playable in co-op and a bonus vehicle - the AH-64D helicopter pictured above. The bug fixes include performance, AI enhancement, graphical tweaks, improved input handling and more. If you're copy of the game was collecting dust, perhaps it's time to break out the Pledge and check it out again.